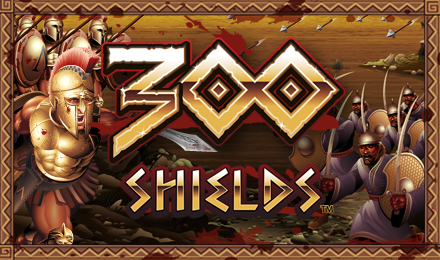 Introducing 300 Shields slots by NextGen, enjoy a slot game of action, weapons, blood and rewards. Join the team of Spartans and fight side by side at Wicked Jackpots! Arm yourself for an action filled gameplay on 300 Shields Slot at Wicked Jackpots Casino. 300 Shields is a 5-reels and 25 payline slot game that consists of the Battle Free Spins Feature. This feature can be triggered by landing shield symbols on the reels. After that you’ll be awarded with 5 free spins and a multiplier of 2x. After activating the round, by landing more scatter symbols you’ll receive more free spins. Take advantage of the other features present like: multipliers and other bonus rounds.